Two of the most famous rock stars from the 1960s – John Lodge and Carl Palmer – are to be celebrated at a unique appearance in Birmingham this spring. The gifted musicians will be on stage in a special ‘Birmingham Night of Stars’ event to be hosted by Jasper Carrott at the Symphony Hall on 11 April, in collaboration with Westside Business Improvement District (BID). John Lodge is best known as the bass guitarist, vocalist, and songwriter of Moody Blues, the longstanding rock group formed in Birmingham in 1964. He was born in Erdington, Birmingham in 1945. Carl Palmer is one of the most respected rock drummers to emerge from the 1960s, a veteran of many banks including Crazy World of Arthur Brown, Atomic Rooster, ELP (Emerson, Lake & Palmer) and Asia. He was born in Handsworth in 1950. Birmingham’s renowned comedian Jasper Carrott, chair of the city’s Walk of Stars project created by Westside BID, said: “We love throwing the spotlight on people who were born and bred in this great city and then went on to become such big stars. Carrott said that various other “star friends” from the music world would be joining him to gig, reminisce and laugh with Lodge and Palmer. This star-studded event will be a fabulous mixture of musical performances as we pay tribute to the life and careers of John Lodge and Carl Palmer, and it will be terrific to have them both there to take part. 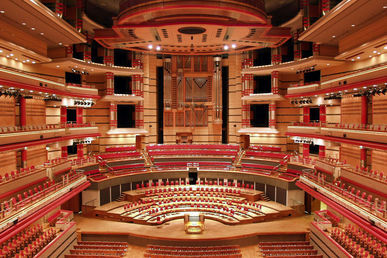 The ‘Birmingham Night of Stars’ event will take place at 7.30pm on Thursday 11 April at Symphony Hall. Tickets are priced* at £28 or just £15 for the back tiers, with proceeds going to the Birmingham Children's Hospital Charities and Westside Charitable Endeavour, dedicated to recording the area’s historical attributes.